Over the years, I’ve purchased an untold number of calendars, planners, and other things that are supposed to help me better organize my work, school, and life. 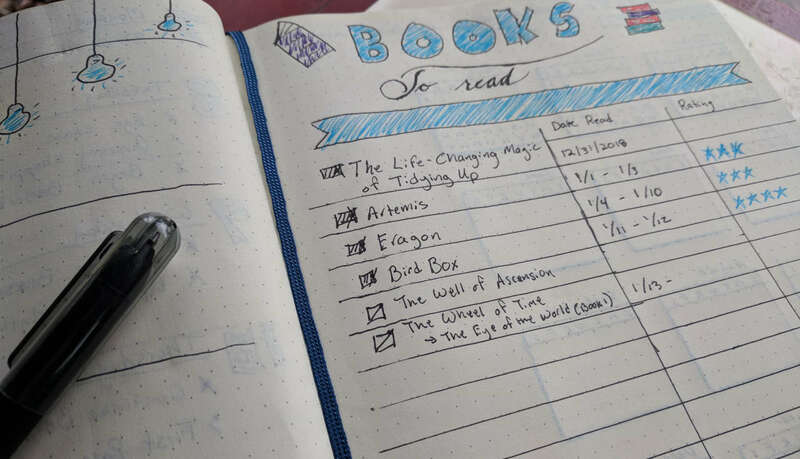 I’d walk into a bookshop or office supply store, browse their offerings for an hour or so, maybe pick up a new pen, and walk out with this excited feeling about how I was finally going to keep organized. I just knew that this planner that I carefully selected with its inspirational quotes and perfectly-outlined system was going to be the one. And, it’d work. For a time. Eventually, I’d learn that the planner didn’t fit some aspect of my life. Some planners would have too many blank pages that I didn’t utilize. Others would not have enough room for things that were important. I was attempting to wedge my life into a system someone else designed instead of designing the system around my needs. I’ve been through daily, weekly, and monthly-style planners. Outside of one exercise/workout tracker that was near perfect for me, I never completely filled out a planner. Digital planners aren’t my thing either. I actually love Google Calendar for reminding me TV/movie times that I want to watch. So many digital offerings are great for what they do. But, most are not customizable down to a personal level. Over the last couple of years, I’ve seen more and more people talking about bullet journaling. I kind of knew how the original BuJo system worked, but I didn’t know what crazy world I was stepping into when I began researching. There’s this whole corner of YouTube and Instagram where people share some of the most elaborate pieces of art that you’ll ever see as they plan out their year. There’s also the other side where people do “ugly,” or what’s often referred to as “guy,” bullet journals. No matter what you’re into, there’s something for everybody. The appeal of a bullet journal is that it’s 100% customizable to fit any individual’s needs. And, there’s nothing that you must buy. Sure, you could purchase The Bullet Journal Method to give back to the creator of the system, but reading the book is not necessary. You only need a notebook and pen. I prefer dot-grid notebooks, but any will do. One of my New Year goals was to attempt this new system. I’m now 18 days into the journey and don’t feel like trashing my notebook yet. So, that’s a start. I feel like this system could finally be what keeps me organized. Most of my pages are filled with daily task lists, which is where the real work of the bullet journal method happens. I don’t have many appointments, but I do have tasks that I need to keep track of and make sure I’ve completed. I’d share some examples, but all my task pages have private client names listed at the moment. I’ve doodled on a few pages. It’s actually kind of relaxing to make a doodle here or there. Nothing elaborate. Mostly scribbles. Books: (pictured above) I’m listing the dates I read each book and giving it a star rating. I also do this on Goodreads, but I like having the list handy. Contact Lenses: I need to remind myself to more regularly switch to a fresh pair of contacts. Having a tracker for this should help make sure I’m not hurting my eyes by over-wearing them. Overall, I’m enjoying this system thus far. I felt like I’ve been more productive. I’ve also opened up more time for personal projects on the weekends because I’ve been finishing my regular work during the week.